Brilliant customer service. The product was exactly as specified and delivery was speedy. 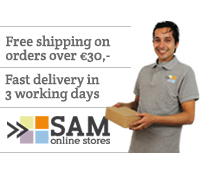 SAM online stores is a brand name of SAM International. SAM online stores covers all of our online activities. Both brand names, SAM International and SAM online stores, are trademarks registered by SAM International. We currently have operations in the United Kingdom, the Netherlands, Belgium, France, Germany and the People's Republic of China. 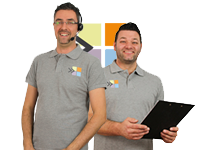 We're fully compliant to EU standards and national webshop regulatory organizations such as Stichting Thuiswinkel Waarborg (NL), BeCommerce (BE), Bundesverband des Deutschen Versandhandels (DE), SafeBuy (UK) and Trusted Shops (FR). Our main office, located in Beusichem, the Netherlands.